You need to make this. 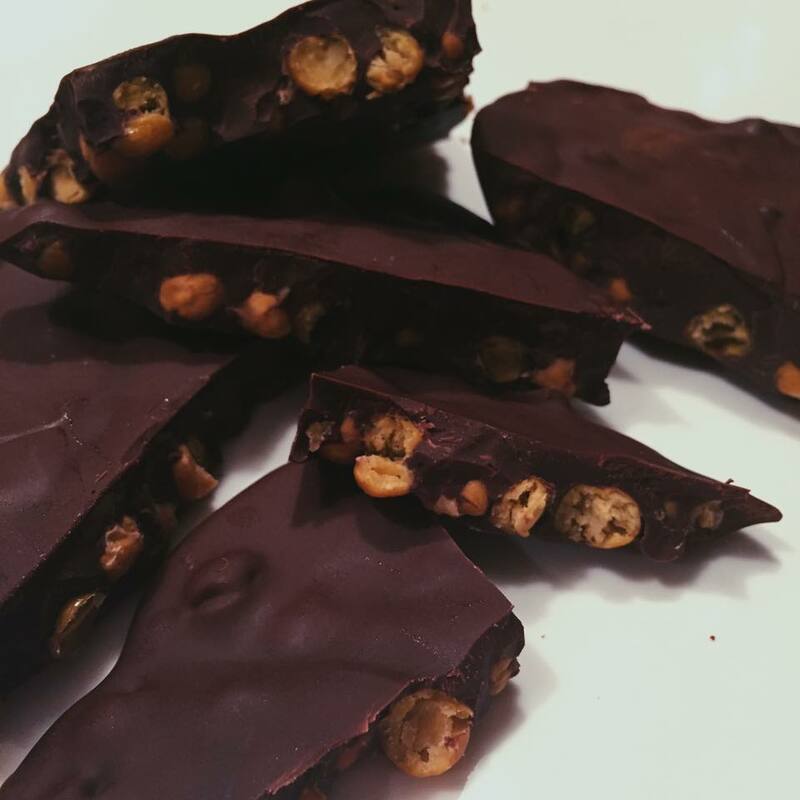 It is like a healthier, lower fat, guilt-free twist on the traditional almond/nut chocolate barks…. BUT BETTER. 2. Rinse and drain chickpeas. Mix in a container to coat them in 1.5 tbsp olive oil and 1 tsp ground sea salt. 3. On parchment paper, place in the oven on a baking sheet and bake at 400F for ~50 minutes (until crunchy). Note: toss them around once in awhile to evenly bake the. 4. Remove from oven and allow the chickpeas to cool for at least an hour. 5. In a small baking pan lined with parchment paper, pour in the chickpeas. 6. Melt the dark chocolate on the stove on low-medium heat. 7. Pour into the pan to coat and cover the chickpeas. 8. Place in the freezer. Allow to harden. 9. Break into “bark” pieces once hardened. 10. Enjoy 🙂 … store in the refrigerator.